Call number: 641.4 ก439 Material type: BookPublisher: กรุงเทพฯ : แสงแดด, 2535Description: 160 หน้า : ภาพประกอบ.Availability: Items available for loan: PYULIB-CL [Call number: 641.4 ก439] (2). เทคโนโลยีอาหารนม = Dairy technology / นรินทร์ ทองศิริ. Call number: 637 น243ท Material type: BookPublisher: เชียงใหม่ : ศูนย์หนังสือเชียงใหม่, 2528Description: 181 หน้า : ภาพประกอบ.Availability: Items available for loan: PYULIB-CL [Call number: 637 น243ท] (2). บรั่นดี และ 6 ตระกูลเหล้ากลั่นชั้นยอดของโลก / กมลศักดิ์ ตั้งธรรมนิยม. Call number: 641.25 ก137บ 2532 Material type: BookEdition: รวมพิมพ์เป็นเล่มครั้งที่ 2.Publisher: กรุงเทพฯ : น้ำค้าง, 2532Description: 178,  หน้า.Availability: Items available for loan: PYULIB-CL [Call number: 641.25 ก137บ 2532] (1). ปฏิบัติการชีวเคมี I / โดย พนม ฟูตระกูล ... [และคนอื่นๆ]. Call number: 574.19 ป135 Material type: BookPublisher: เชียงใหม่ : คณะวิทยาศาสตร์ มหาวิทยาลัยเชียงใหม่, 2526Description: 98 หน้า.Availability: Items available for loan: PYULIB-CL [Call number: 574.19 ป135] (1). Call number: 542.1 ป422ท 2538 Material type: BookEdition: พิมพ์ครั้งที่ 3.Publisher: กรุงเทพฯ : ประกายพรึก, [2538? ]Description: 154 หน้า.Availability: Items available for loan: PYULIB-CL [Call number: 542.1 ป422ท 2538] (1). The world atlas of wine / Hugh Johnson. Call number: 641.22 J67W 1994 (R.) Material type: BookEdition: 4th ed., completely rev.Publisher: London : Mitchell Beazley, c1994Description: 320 p. : ill., maps.Availability: Items available for reference: [Call number: 641.22 J67W 1994] (2). Call number: 613.2 ส942ห 2539 Material type: BookEdition: พิมพ์ครั้งที่ 7.Publisher: กรุงเทพฯ : ไทยวัฒนาพานิช, 2539Description: ก-ช, 166 หน้า.Availability: Items available for loan: PYULIB-CL [Call number: 613.2 ส942ห 2539] (2). by Doggett, Graham | Sutcliffe, Brian T.
Call number: 515.1 D654M Material type: BookPublisher: Essex : Longman Scientific & Technical, 1995Description: xiii, 286 p.Availability: Items available for loan: PYULIB-CL [Call number: 515.1 D654M] (1). Call number: 547 ส816ค 2539 Material type: BookEdition: พิมพ์ครั้งที่ 3 (แก้ไขและปรับปรุง)Publisher: [กรุงเทพฯ] : โครงการเอกสารวิชาการ ภาควิชาเคมี มหาวิทยาลัยมหิดล, 2539Description: 10, 583 หน้า.Availability: Items available for loan: PYULIB-CL [Call number: 547 ส816ค 2539] (3). Call number: 641.36 L424M 1991 Material type: BookEdition: 5th ed.Publisher: Oxford : Pergamon Press, 1991Description: xvii, 293 p.Availability: Items available for loan: PYULIB-CL [Call number: 641.36 L424M 1991] (1). 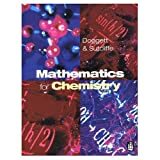 Call number: 664.0284 B838F (R.) Material type: BookPublisher: Oxford : Butterworth-Heinemann, 1994Description: 189 p.Availability: Items available for reference: [Call number: 664.0284 B838F] (1). Call number: 641.303 ว445อ Material type: BookEdition: พิมพ์ครั้งที่ 1Publisher: [กรุงเทพฯ] : ดุจลดา, 2540Description: 208 หน้า : ภาพประกอบ.Availability: Items available for loan: PYULIB-CL [Call number: 641.303 ว445อ] (1). Call number: 615.954 ก891พ Material type: BookEdition: พิมพ์ครั้งที่ 1Publisher: นครปฐม : สถาบันวิจัยโภชนาการ มหาวิทยาลัยมหิดล, 2537Description: 10, 239 หน้า.Availability: Items available for loan: PYULIB-CL [Call number: 615.954 ก891พ] (2). Call number: 338.19593 ส271อ Material type: BookEdition: ครั้งที่พิมพ์ 1Publisher: [กรุงเทพฯ] : สถาบันเอเชียศึกษา จุฬาลงกรณ์มหาวิทยาลัย, 2534Description: 128 หน้า : ภาพประกอบ.Availability: Items available for loan: PYULIB-CL [Call number: 338.19593 ส271อ] (2). by International Conference on Food Industry Technology and Energy Applications (1996 : Bangkok, Thailand) | King Mongkut's Institute of Technology Thonburi. Call number: 664 I61 Material type: BookPublisher: Bangkok, Thailand : KMITT, 1996Description: xii, 352 p.Availability: Items available for loan: PYULIB-CL [Call number: 664 I61] (1). Call number: 664.8 K64T Material type: BookPublisher: Amsterdam, The Netherlands : Tool, 1993Description: vii, 83 p. : ill.Availability: Items available for loan: PYULIB-CL [Call number: 664.8 K64T] (2). Call number: 613.286 ศ322ว Material type: BookEdition: พิมพ์ครั้งที่ 1Publisher: [กรุงเทพฯ] : สมิต, 2541Description: 211 หน้า.Availability: Items available for loan: PYULIB-CL [Call number: 613.286 ศ322ว] (2). Call number: 641.4 น315ก Material type: BookEdition: พิมพ์ครั้งที่ 1Publisher: กรุงเทพฯ : ไทยวัฒนาพานิช, 2539Description: 73 หน้า : ภาพประกอบ.Availability: Items available for loan: PYULIB-CL [Call number: 641.4 น315ก] (1). Call number: 641.4 ท476อ Material type: BookPublisher: กรุงเทพฯ : หอสมุดกลาง 09, [2541? ]Description: 179 หน้า.Availability: Items available for loan: PYULIB-CL [Call number: 641.4 ท476อ] (2). Call number: 641.59593 ศ812ก Material type: BookEdition: พิมพ์ครั้งที่ 1Publisher: กรุงเทพฯ : ต้นอ้อ แกรมมี่, 2540Description: 48 หน้า : ภาพประกอบ.Availability: Items available for loan: PYULIB-CL [Call number: 641.59593 ศ812ก] (2).